This article was originally published on the Landscape Institute website. 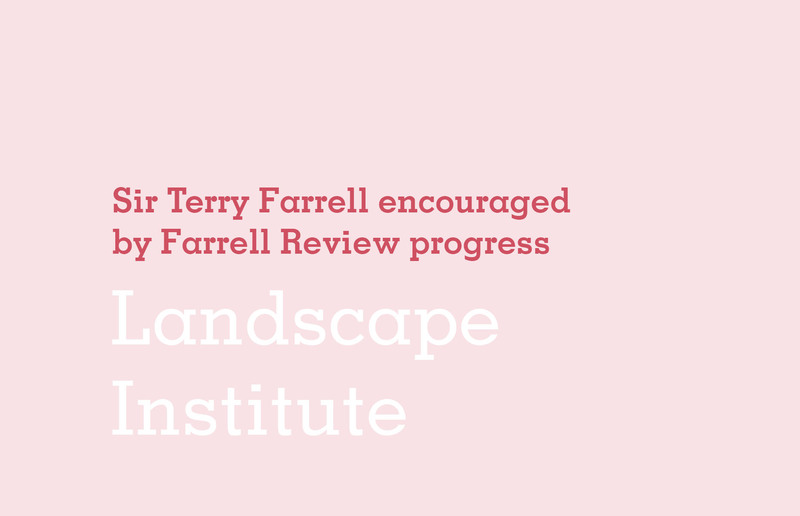 Sir Terry Farrell admits to being overwhelmed by ‘the energy and enthusiasm with which The Farrell Review of Architecture and the Built Environment (FAR) has been welcomed’, and says he is greatly encouraged by the progress that has been achieved thus far. Sir Terry makes the claims in Our Future in Place, the first in what will be a series of regular progress updates on the implementation of FAR, which recommends PLACE (planning, landscape, architecture, conservation and engineering) reviews of high streets, mega-hospitals, housing estates and infrastructure projects. FAR calls for a radical reform of architectural education, including the introduction of a common foundation year before students choose to specialise in one of the five PLACE disciplines, and a radical rethinking of planning, ‘to make it proactive rather than reactive’. The update reports that discussions are now underway with Kent School of Architecture and the School of Architecture, Planning & Landscape at Newcastle University, which are two of the architecture schools considering recommendations such as introducing a common foundation year and introducing business, construction and retro-fitting into course content. It also reveals that Sir Terry recently met planning minister Nick Boles to discuss ‘the need for a radical step change in the way we approach planning our built environment’. The minister’s response, Sir Terry reports, was ‘overwhelmingly positive’, and ‘a conference on proactive planning was discussed’. Following on from earlier recommendations that Design Review Panels should become PLACE Review Panels, the Design Network has confirmed its intention to rebrand Design Review as PLACE Review ‘to ensure this service is more collaborative and broader in scope’. It will also organise a conference towards the end of the year on the theme of PLACE Review. In response to the FAR recommendation that the Local Government Association (LGA) and the Design Network ‘could create a template for partnership agreements between built environment practices and neighbourhoods, villages and towns of an appropriate size and location to champion the civic through education and outreach’, LGA chair Sir Merrick Cockell has endorsed in principle the idea of partnership agreements between local authorities and private practices ‘to improve skills and capabilities within public planning teams’. In addition, Ed Vaizey, the minister responsible for FAR, is ‘connecting the FAR team with Arts Council England to explore opportunities for promoting the role of the arts and artists in placemaking and the built environment’, while FAR panel member Robert Powell is organising an event ‘to focus on the implications for the arts and artists of the Farrell Review and vice versa’. In another development, Professor Kathryn Moore, of Birmingham University, who has been leading on the relationship between landscape, existing communities and new development for HS2 stations and rail lines in Birmingham, will be speaking at the Urban Land Institute conference on growth and connectivity in September, with the intention of forming a working group looking at how these recommendations can be taken forward. To ensure that FAR remains on the government agenda, the update concludes, ‘we will, jointly with RIBA and Cabe, host fringe events at both Labour and Conservative Party Conferences in September’. A meeting of the All Party Parliamentary Group (APPG) on Excellence in the Built Environment is being arranged for that month, too. And the FAR team is also preparing ‘targeted lists of asks’ and priorities for different professions and organisations, ‘which have been requested by many and already provided to the government’.